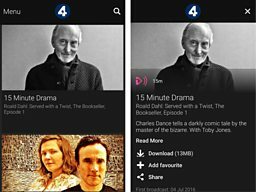 Audio Books, dramas and Comedy are all available to enjoy in the Radio 4 section of the iPlayer Radio app. 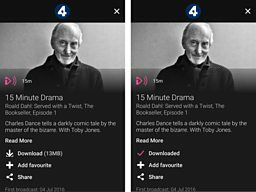 Here, you can download any programme for 30 days from the first broadcast and listen anytime, anywhere. 1. Download the app from your app store (e.g. iTunes, Google Play) and open it. 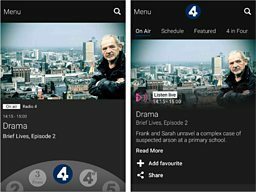 Choose Radio 4 on the dial. 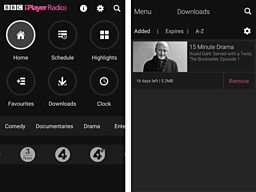 To get the iPlayer Radio app is easy but you will need to do it via an Apple or Android tablet or mobile. 2. Swipe right on the top section and select 4 Stories. 3. Find a programme you would like to download and select the pink play button on the image. 4. Tap Download to save the programme to your device. 5. 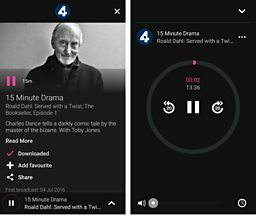 Click the play button to start listening to the programme. If you select the up arrow in the bottom-right corner of the screen, you can navigate through the programme using the play wheel. 6. 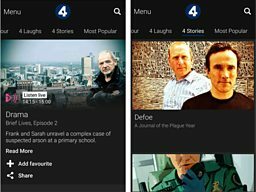 You can listen to programmes you have previously downloaded by going to the Menu, selecting Downloads and choosing one from the list. Adam Rutherford goes inside science to explore the research that is transforming our world. People are swapping winter sun for a night sleeping under canvas.